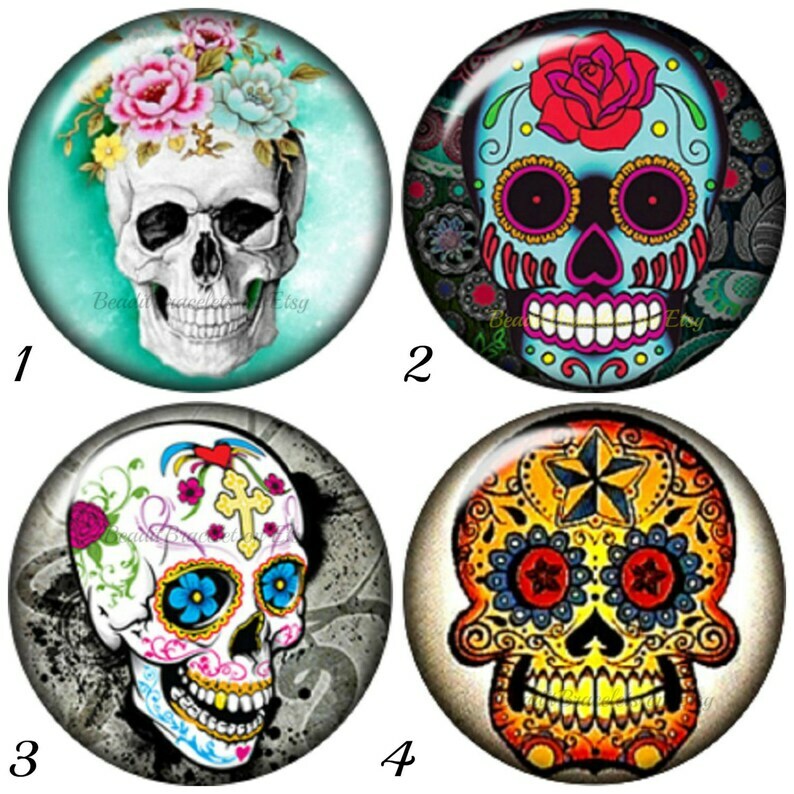 Sugar Skull snap charms for Noosa or Gingersnap style jewelry. 20 mm high domed optic glass cabochons snap for bracelets and pendants. Free shipping to United States with $52 purchase from Snapdora. See item details below for sale terms. Select a style 1. [Sold out] 2. [Sold out] 3. 4. Green snap charms for Noosa or Gingersnap style jewelry. 20 mm high dome optical glass cabochons. Chunk charms for snap jewelry. Snap button will fit Noosa or Gingersnap style jewelry. YOLO, You Only Live Once 20 mm snap charm or Chunk Charm. High domed glass cabochon. Tree of life 20 mm snap charms that will fit Gingersnap, Noosa style Jewelry. Chunk charms are made with high domed optic glass cabochons. Snap Charms for your Chunk charm jewelry....will fit Noosa and Gingersnap jewelry and many other brands.Nurse snap charm,tree of life snap. Snap charms will fit all 18-20 mm snap jewelry including Ginger Snaps. Beach Snaps, turquoise based 20 mm Noosa chunk charms. Filigree snap charms will fit Gingersnap or Noosa style jewelry. 20.9 mm chunk charms come in a variety of colors and are 3.98 each. Stainless Steel 3 snap bracelet for 20 mm snap charms. Noosa style bracelet fits Ginger snaps & other snap charms. Ginger Snaps style 20 mm high domed optic glass cabochon. Will fit Noosa jewelry and other brands of 18-20 mm snap jewelry. Snap charms compatible with Ginger Snaps Jewelry. 20 mm snaps, made with a high domed optic glass cabochon fit regular sized snap jewelry. Heart Snap Charm is interchangeable with Noosa and Ginger Snaps Jewelry. 20 mm high domed snap charm, perfect for Valentines.